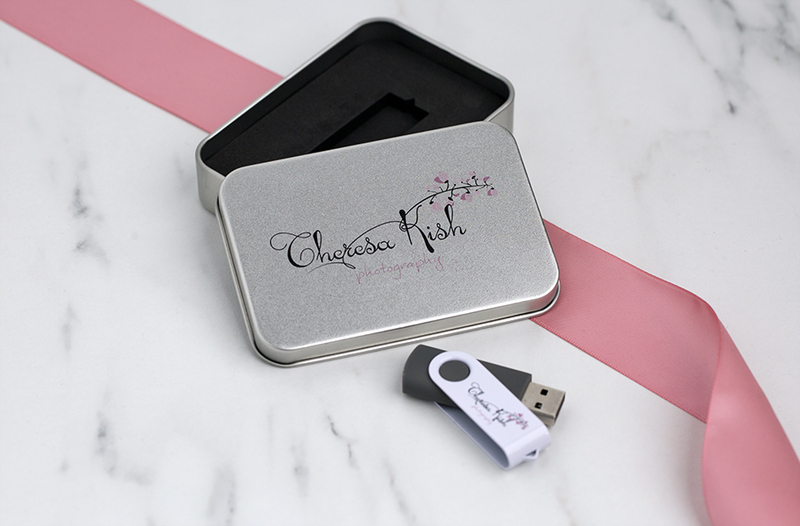 Bundle your USB flash drives and coordinating packaging for additional savings! 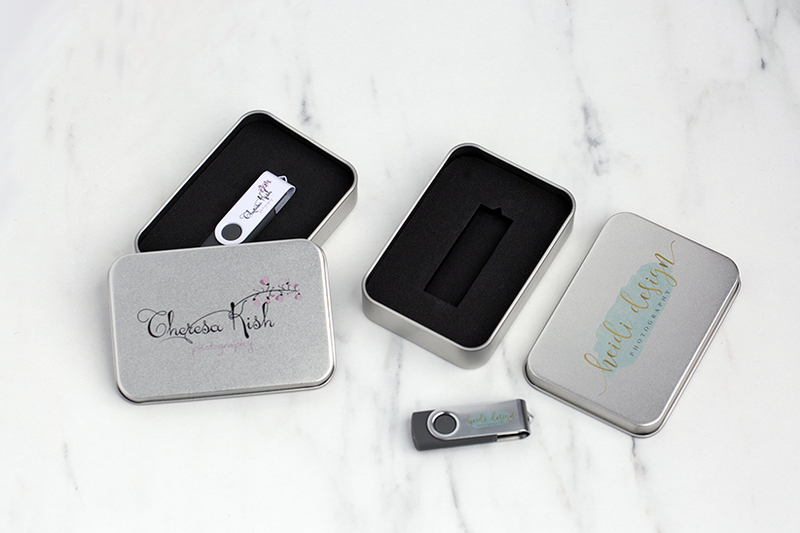 Our USB Swivel Drives are a versatile and cost effective way to deliver digital images to your clients. 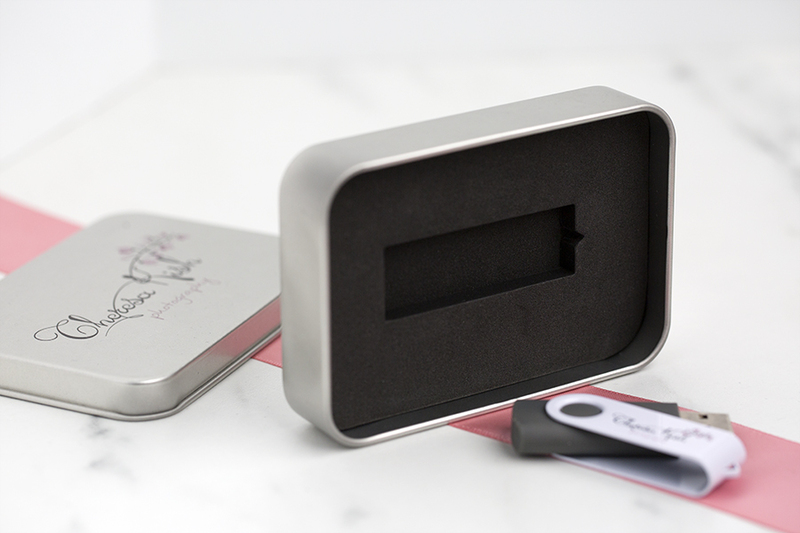 In this bundle the flash drive is paired with a Metal Tin for a unique and customizable delivery! Rate our USB Swivel Drive and Metal Tin Bundle.